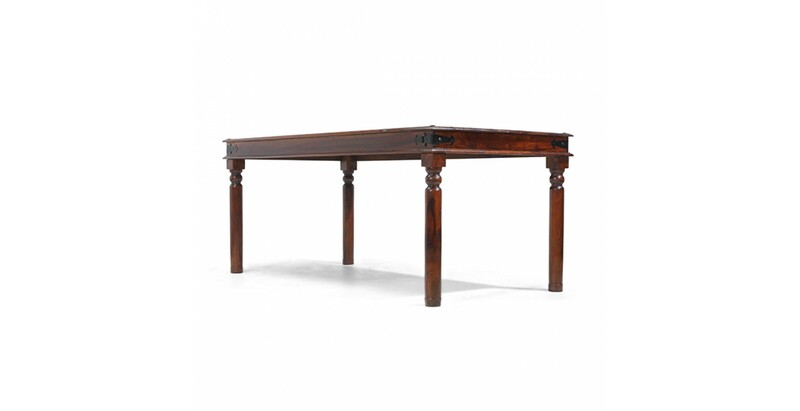 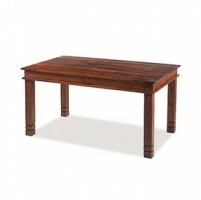 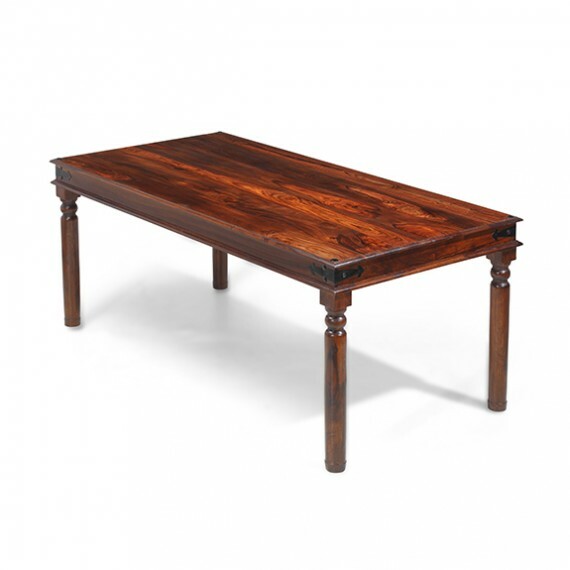 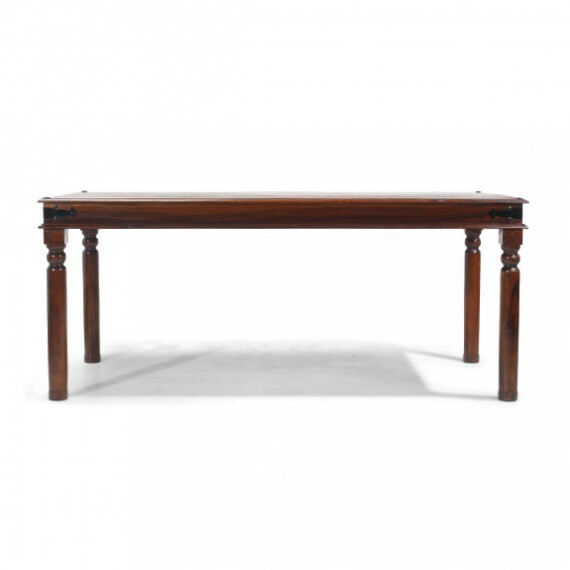 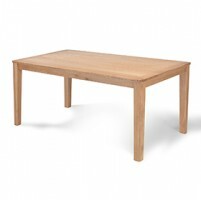 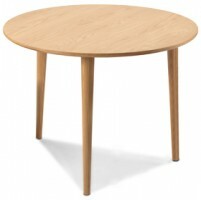 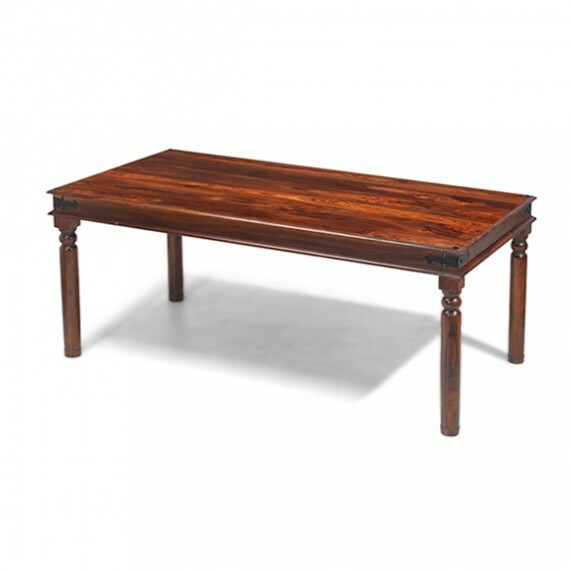 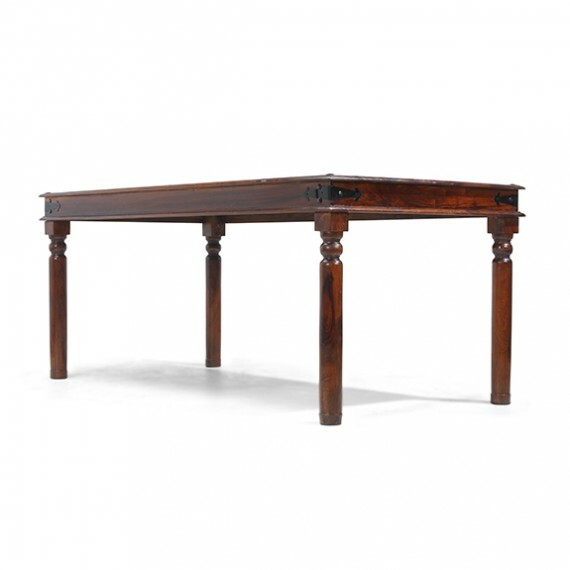 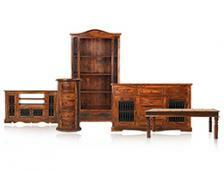 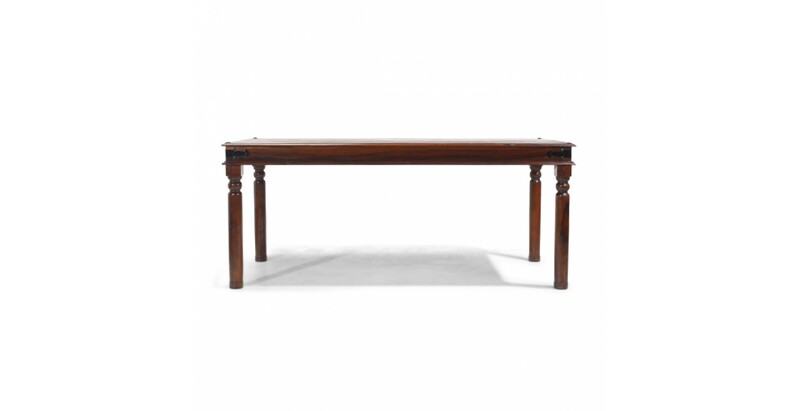 At 180cm long, this dining table will make an impressive centrepiece for your kitchen or dining room. 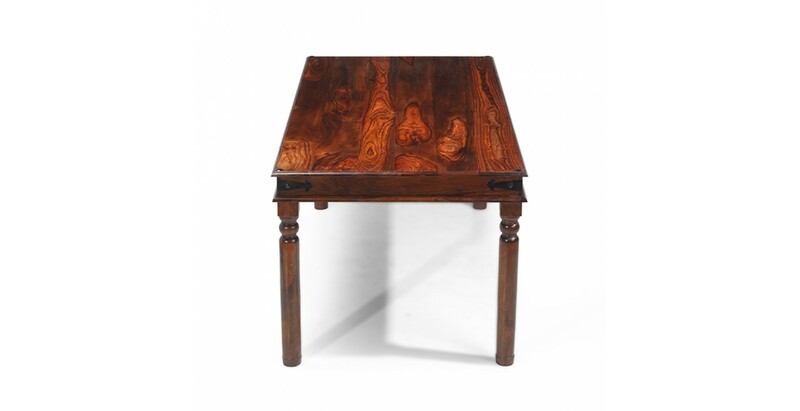 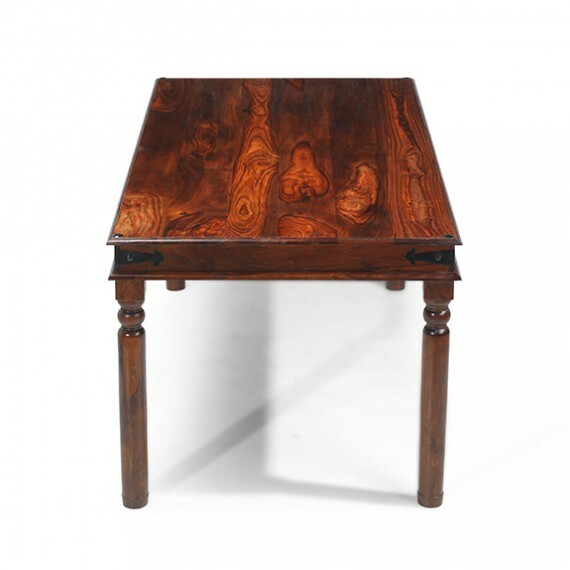 Made by hand from sheesham wood, its colonial influence is apparent in the iron corner brackets and distinctive studding as well as the elegantly turned legs and its variable dark tones and characterful grain patterns are shown at their best through the Wax Lacquer Finish. 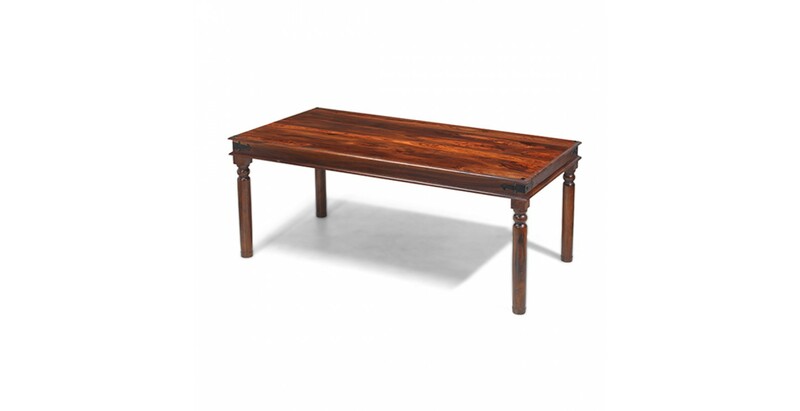 Ideal for a range of decors, surround it with a set of dining chairs from our Jali Sheesham range and invite some friends round for dinner.